Your age, appetite for risk and when you plan to withdraw KiwiSaver funds all factor into choosing a KiwiSaver fund type to suit your needs. A message that is constantly repeated when it comes to choosing financial products, is that you won’t come across a one-size-fits-all solution or product. This is no less true when it comes to KiwiSaver. 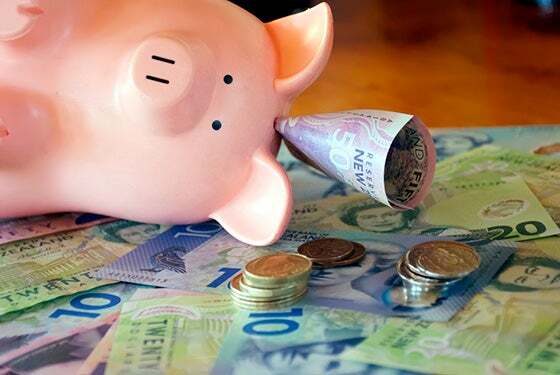 To choose the right KiwiSaver fund to suit you, you’ll need to consider a number of factors, such as your appetite for risk, your age, how soon you plan to withdraw your funds and what you plan to withdraw it for (retirement or for a first home deposit). For many New Zealanders, KiwiSaver will be the first experience they have with investing. With the help of Sorted’s KiwiSaver Fund Finder, Canstar has compiled definitions for each of the KiwiSaver fund types, to help you narrow down options to suit your own financial needs. What are Defensive KiwiSaver funds and who are they suitable for? Defensive KiwiSaver funds hold up to 9.9% in growth assets. This includes cash funds which have no growth assets, with 100% invested in cash and cash equivalents. Defensive funds are generally suitable for investors who have a low appetite for risk. 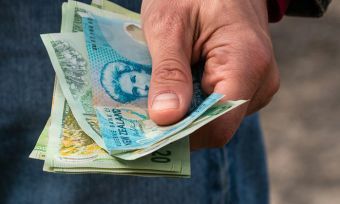 So, if you’re put off by seeing your KiwiSaver account balance go down – although there are no guarantees this won’t happen in a defensive fund – this may be the fund for you. However, the trade-off is that your KiwiSaver account balance almost certainly won’t grow as fast as it would in another “riskier” fund type, over the long term. In fact, balances may grow even slower than the rate of inflation in a Defensive KiwiSaver fund. 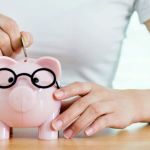 So, you’d need to contribute more each year to reach a long-term savings goal that you’d expect to get in a higher risk fund. Investment asset classes: Mainly bank deposits and other fixed-interest investments such as bonds (debt securities). Up to 10% invested in growth assets such as shares and property. Defensive KiwiSaver fund types are generally suitable if you expect to use the funds within the next three years. What are Conservative KiwiSaver funds and who are they suitable for? Conservative funds hold 10% to 34.9% in growth assets. Conservative funds are generally suitable for investors who are comfortable taking on some ups and downs in value. This fund type might suit an investor seeking average long-term returns, slightly higher than in a defensive fund, but probably not as high as in a riskier fund type – such as balanced, growth or aggressive funds. Sign up to receive more free news and updates, straight to your inbox. Investment asset classes: Mostly bank deposits and fixed-interest investments such as bonds. 10%-35% invested in growth assets such as shares and property. Conservative funds are generally suited to those who plan to withdraw funds within the next two to six years. What are Balanced KiwiSaver funds and who are they suitable for? Balanced KiwiSaver funds are typically suited to investors who are comfortable seeing a fair degree of ups and downs in their balance in exchange for a greater long-term return than can typically be expected in a conservative or defensive fund. Investment asset classes: 35%-62.9% in growth assets such as shares and property. Remaining proportion in more defensive assets such as cash, bank deposits, bonds, and other fixed-interest investments. Balanced KiwiSaver funds are generally suited to those seeking mid-range long-term returns and who expect to withdraw their KiwiSaver money within the next five to 12 years. What are Growth KiwiSaver funds and who are they suitable for? Growth KiwiSaver funds hold a significantly larger proportion of growth assets – 63% to 89.9% to be exact. Growth funds are generally suitable for those who are looking for fairly high growth over the long term and who won’t be tempted to switch to a lower-risk fund any time they see their balance drop quite significantly – which is expected from time to time. Investment asset classes: 63%-89.9% invested in growth assets such as shares and property. Remaining balance invested in more defensive assets such as term deposits, bonds and other fixed-interest investments. These funds have the potential for higher returns and resulting balance growth (hence the name) than options with a lower proportion of growth assets. The downside is that they also carry higher and more frequent swings in value as the value of underlying investments will go up and down with the market. This fund type is generally suited to an investor who does not expect to withdraw their funds for at least 10 years. In other words, if you’re heading into growth fund territory, then you probably have a fairly large appetite for risk and aren’t expecting to withdraw funds in the immediate future. What are Aggressive KiwiSaver funds and who are they suitable for? Aggressive KiwiSaver funds are for the investment thrill seekers, with an extremely large appetite for risk. These types of KiwiSaver funds hold a large majority of the investment in growth assets – at least 90% and as high as 100%. Aggressive KiwiSaver funds are generally suitable for investors who are in it for the long haul and are looking for strong long-term growth. But it’s important to be comfortable with watching sharp drops in your balance, before you opt for this fund type. Investment asset classes: 90%-100% invested in growth assets such as shares and property. Aims to achieve high returns over a long-term timeframe. These investments carry the potential for higher returns to grow your fund balance, but also more frequent and larger drops along the way. Aggressive KiwiSaver funds are generally for investors who aren’t planning to withdraw funds for at least 10 years. What are Life Stages KiwiSaver funds and who are they suitable for? Life stages KiwiSaver funds are an interesting investment type, in that they change investment exposure depending on your age and stage of life you are at. 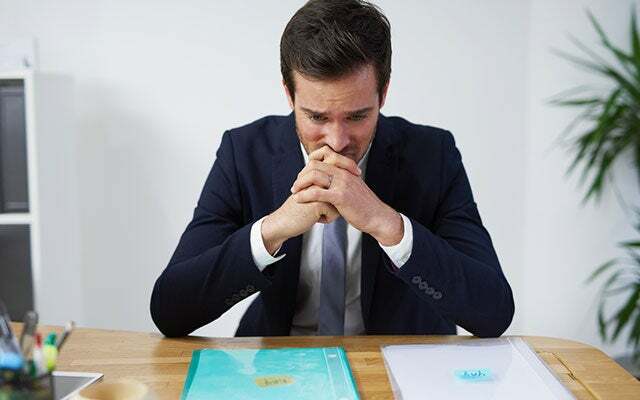 They are generally geared towards investors who don’t feel confident to make their own fund type choices and don’t want to have to actively manage their KiwiSaver fund throughout their working life. Effectively, you hand over the reins to your fund manager to decide what the most suitable fund is for your age group and risk profile, at any given time. Investment asset classes: Varies as you age. Life Stages funds automatically change your investment option as you hit certain “milestone ages”, so that you are in what your fund manager believes is the best fund for someone in your age group at any given time. However, these fund types don’t take into account your individual plans. So, even if you’re in your 20s and planning to withdraw funds to use towards a first home deposit, your fund manager is still likely to have put you in an investment fund with quite a lot of exposure to growth assets that have the potential for a lot of ups and downs in the short term, based solely on your age and the assumption you won’t be accessing your retirement funds for decades. What else is there to consider when choosing a KiwiSaver fund? How much are you paying in fees and what is the current rate of return? Generally speaking, you can expect to pay more in fees for funds containing a greater proportion of growth assets, as the rate of return is expected to be higher, and also for more actively managed funds over those that closely follow an index. As part of the 2017 KiwiSaver Star Ratings, Canstar has analysed fees and rates of return, across the fund types. Read more on how providers stack up, here. The bond you share with a KiwiSaver fund: Conservative and balance funds – and to a lesser extent growth funds – often hold lots of long-term bonds, which do carry some risk. A bond is a debt security, working in a similar way to an IOU. 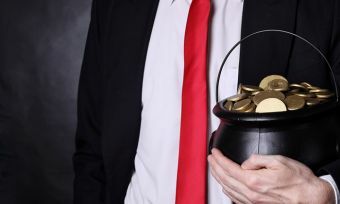 Borrowers – including Governments and a range of companies – issue bonds to raise money from investors who are willing to lend them money for a certain period of time. However, these bonds will not always get paid back. You are only able to belong to one KiwiSaver scheme, but most providers will allow you to split your investment across multiple fund types. This gives you the option to split your funds across risk levels, depending on when and for what reason you intend to withdraw the KiwiSaver funds. For example, you might put money you plan to spend in the next few years in a less risky fund, such as a defensive or cash fund, and then allocate some long-term funds in a riskier fund, such as a balanced or growth fund. What do you plan to withdraw your funds from KiwiSaver for? If you plan to withdraw funds to put towards a first home deposit, it’s likely you plan to withdraw your funds in a shorter time-frame than you would if you were using it only as a retirement savings scheme. To see how KiwiSaver providers and funds stack up, check out Canstar’s report.